With the rather long delays for RIM’s new BlackBerry operating system launch, it would be fair to say it is going to have to be a good product to keep us interested. Early reports and views of the alpha and beta tests show promise, if a more Android-designed operating system. There will also be two BlackBerry 10 smartphones at the launch event, which will be held in multiple locations around the world. These two BlackBerry devices will both be released at the same time BlackBerry 10 is. We believe that RIM is looking to developers to make sure they launch their smartphones quick too. We believe RIM is planning to bring one smartphone to market to take on the likes of the Samsung Galaxy S3 and iPhone 5, and another to fit in mid-market. One of these devices, most likely the high-end product, will have a touchscreen with no keyboard. The mid-range device will come equip with BlackBerry’s age-of-old keyboard. The original release date was set sometime this summer, but was knocked back to next year due to lack of development progress. Throughout the year, BlackBerry devices have suffered bad press with many saying they are the poor man’s phone. RIM have been losing a lot of money and some analysts see this as the deal-breaker for the company. While BlackBerry once dominated forty percent of the smartphone market, it now holds a meagre five percent, and that number is going down as people switch to new options, like Windows, Android and of course, iPhone. We can’t see BlackBerry becoming the wealthy businessman’s toy again, unless this operating system delivers something Apple, Android and Microsoft missed. Even with the plagued release date alreadydead on arrival, according to a few analysts, some may still take on BlackBerry devices as they become more available. With companies like HTC and Nokia possibly making a BlackBerry phone, we may see a new BlackBerry uproar. 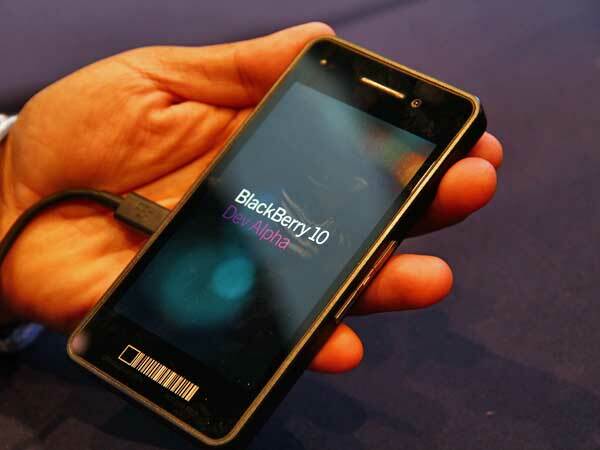 For now, we are just hoping BlackBerry has no more delays in bringing out their new operating system. For their sake more than ours.